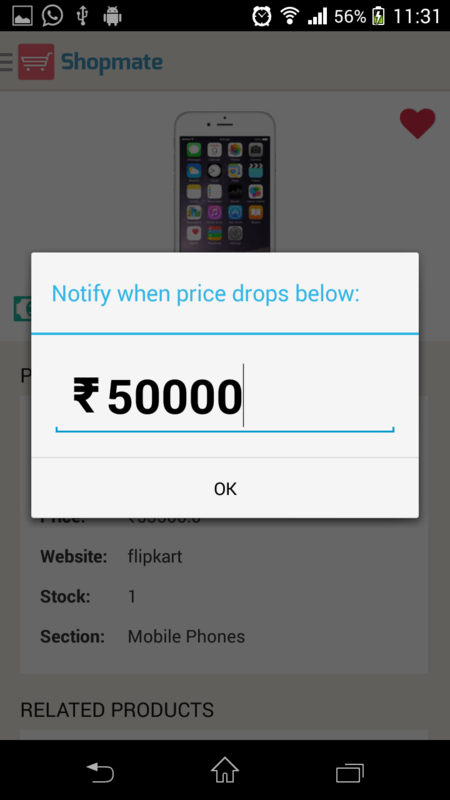 The first of its kind app to deliver price drop notifications in real time. Never pay an extra dime. Search, Compare and Buy from almost all e-commerce sites in India. Shopmate is a single platform which lists products from all famous sites. Shows sharp and clear images of products with zoom functionality. 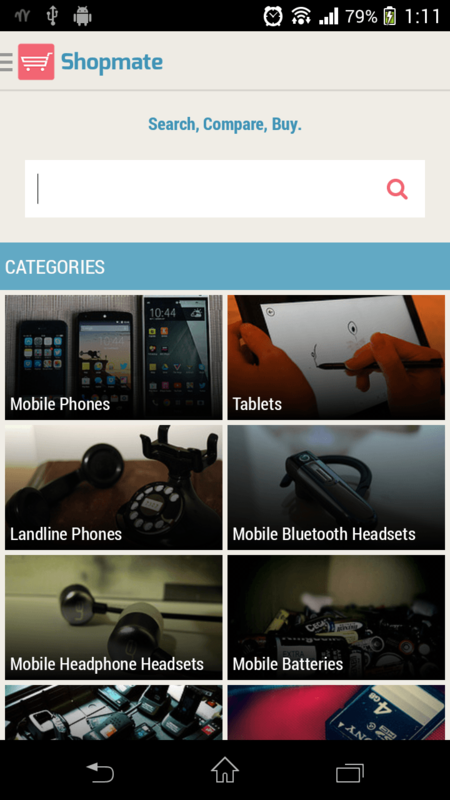 You can even add any product to your favorites by just tapping the heart on the right corner. Set price alerts for any specific product you want. 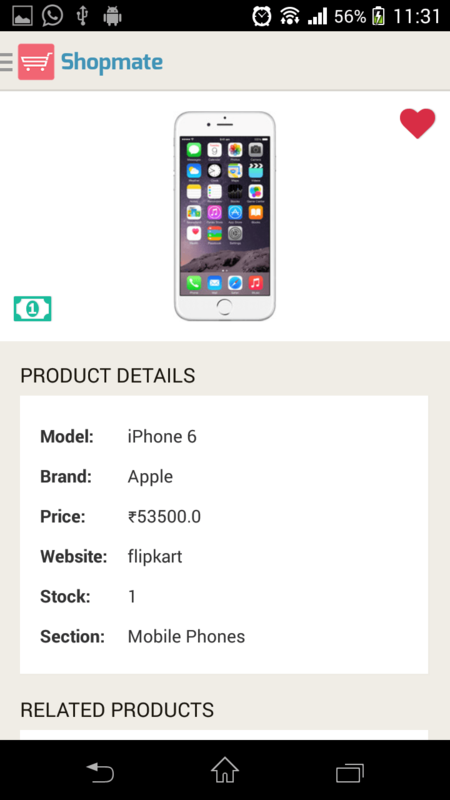 It notifies you when the price of a particular product drops below the specified value.